Be still my heart! 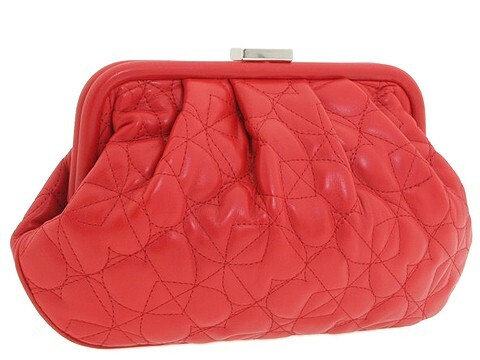 Your heart will skip a beat for this utterly adorable Moschino 'Pouchette Clutch. '; Made of genuine leather. Holds your wallet, keys and a slim cell phone. Dimensions: 10 wide across the bottom, 7 wide across the top x 2 deep x 6 high. ; Embroidered heart design. Top frame with a push lock closure. Satin interior lining with a back wall zip pocket. Made in Italy.